No matter what, once in your life, someone will hurt you. and they won't even watch where those pieces land. But through the breakdown, you'll learn something about yourself. 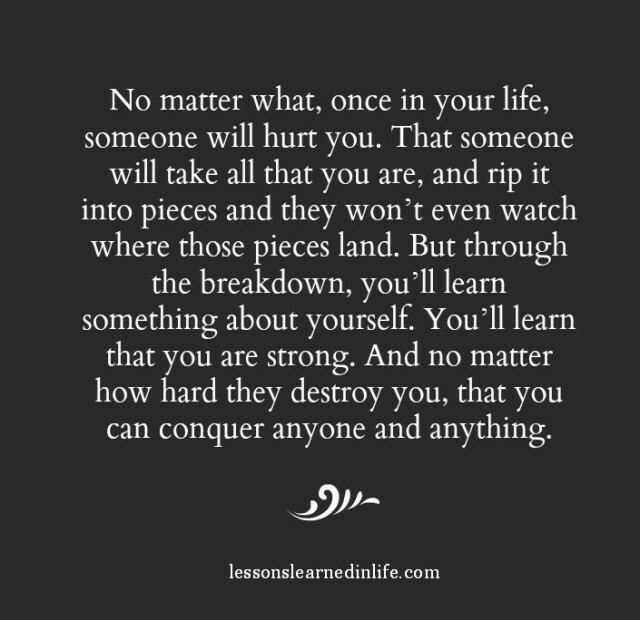 You'll learn that you are strong. that you can conquer anyone and anything.